Expecting the unexpected can work in the favor of bands like Radiohead, U2, and R.E.M. They build up a reputation for trendy experimentalism that is met with enthusiastic anticipation by their fanbase. But for a band on the fringes of the indie rock scene without a conspicuous fanbase, not knowing what to expect can be a cause for concern. Since British Sea Power have achieved varying degrees of success with past projects that include moody Britpop, arena-ready rock, film soundtracks, and retreads with a full brass orchestra, listeners will no doubt approach the unexpected of Let the Dancers Inherit the Party with some trepidation. Thankfully, any apprehension is quickly replaced with joy as the band has re-captured some of the majestic power that made their 2003 debut so intriguing. Saturated with the emotive mope-rock influences of bands like Travis, South, and James, the tracks play out like a veritable smorgasbord of U.K. alternative pop/rock. It's like elements of each were mixed in a blender, resulting in a potent and entertaining Britpop cocktail. But instead of a cheap imitation it's a tasty concoction. 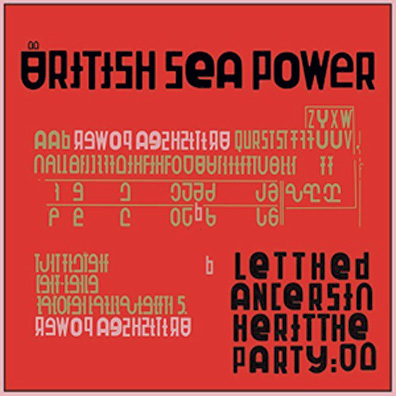 Customized with their own impassioned vocals and abundant quantities of shadowy atmospherics, British Sea Power hit their stride with the catchy, radio-friendly hook of single "Bad Bohemian" and the taut, polyrhythmic beats of "Saint Jerome." The latter sounding as if it could be from Coldplay's spunky little brother. Most of the tracks have elements that are immediately fetching with some slick bass lines, moody passages, and smoldering guitars. The band aren't afraid to explore their softer side either. In fact slower numbers such as "Electrical Kittens" and "Praise For Whatever" are actually the highlights, venturing away from pop structure while filling the contemplative and murky spaces with dreamy guitar melodies and airy synths.